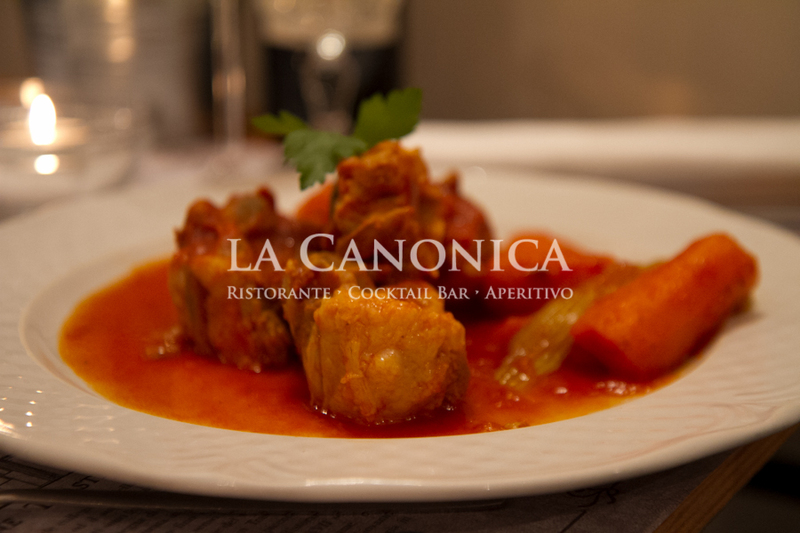 La Canonica Restaurant is located in Trastevere, a few steps from the famous Piazza di Santa Maria in Trastevere, place where it was born and developed the Roman people. 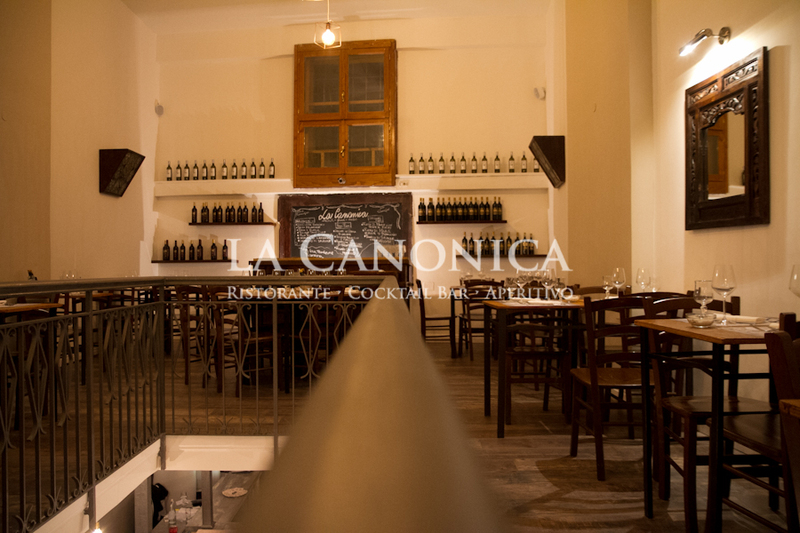 House of the poet Belli, inspiring Trilussa, Trastevere is the heart of Rome. 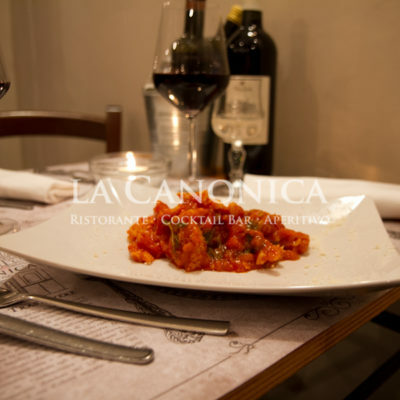 Today the Trastevere district is one of the most beautiful and characteristic of Rome, the center of nightlife and gastronomic events. 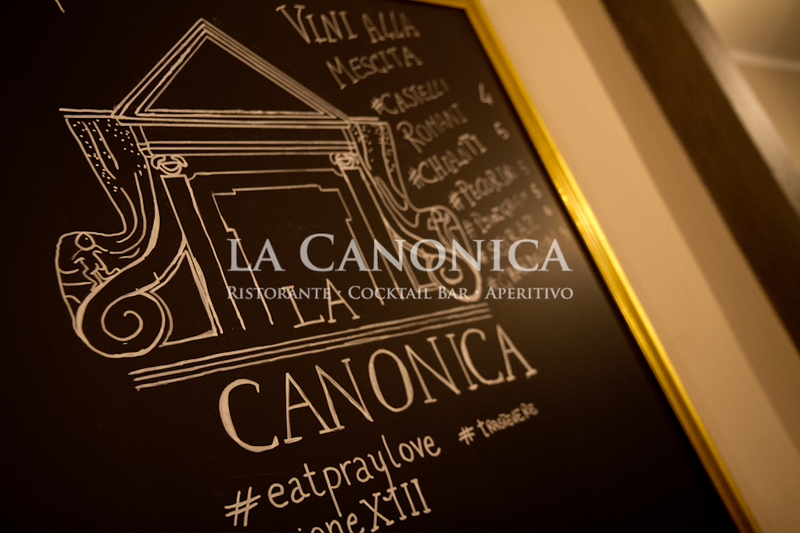 La Canonica Restaurant cames from a converted church and is one of the oldest “osteria” of Trastevere. 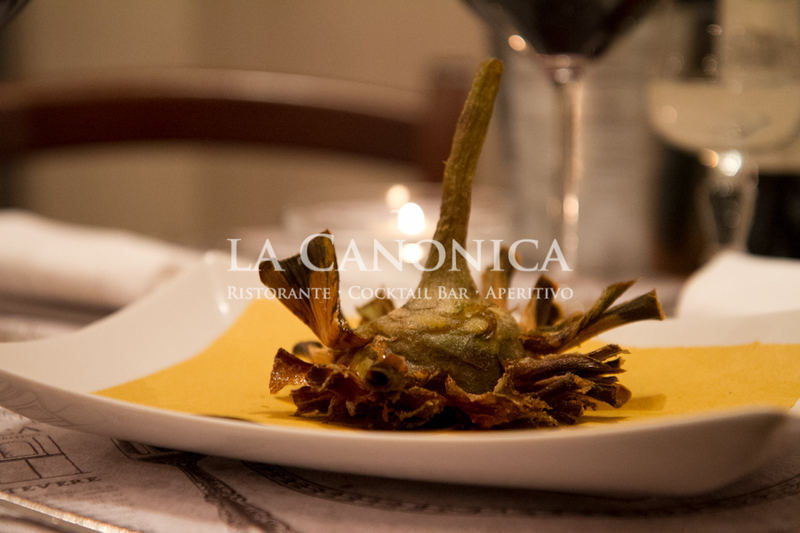 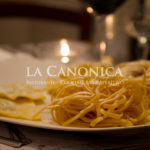 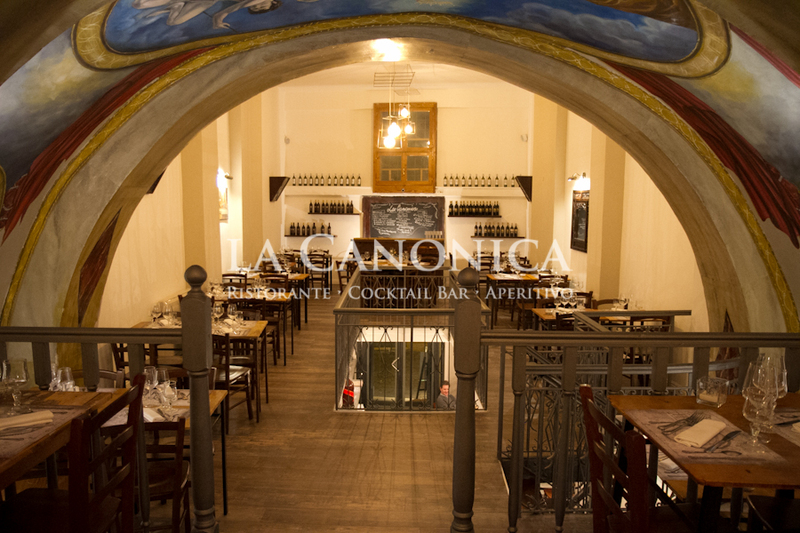 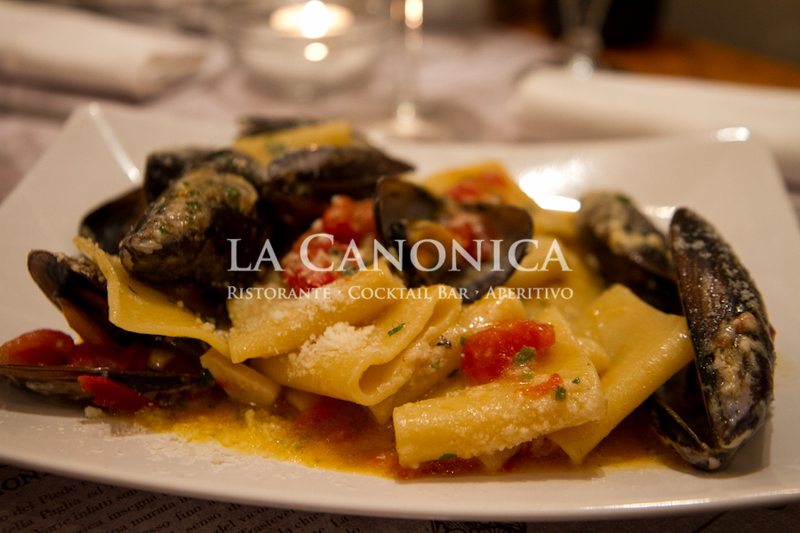 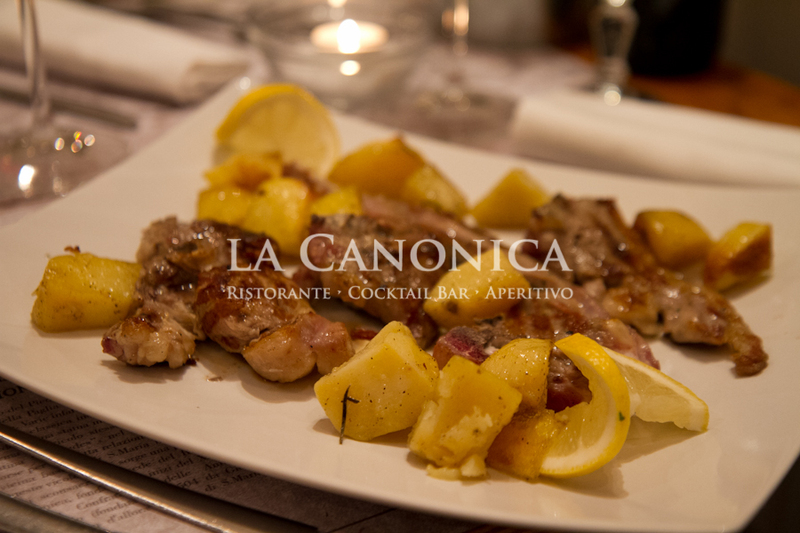 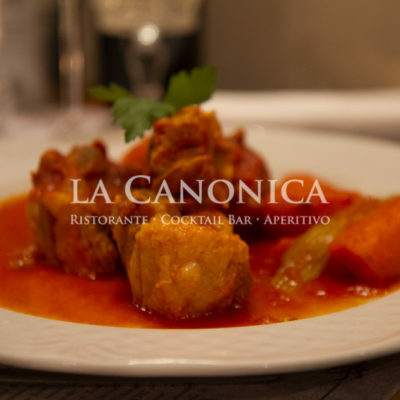 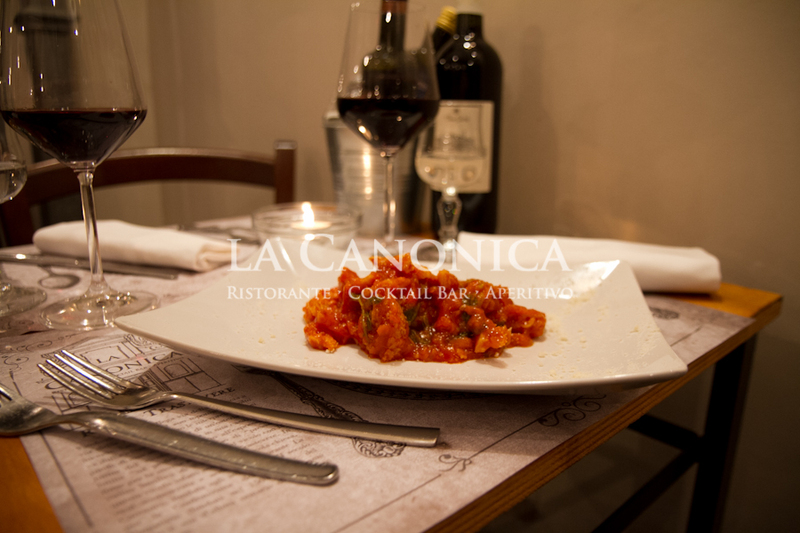 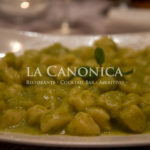 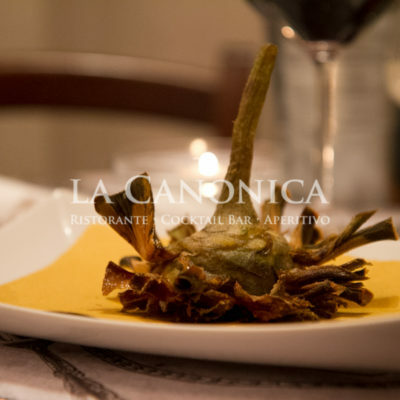 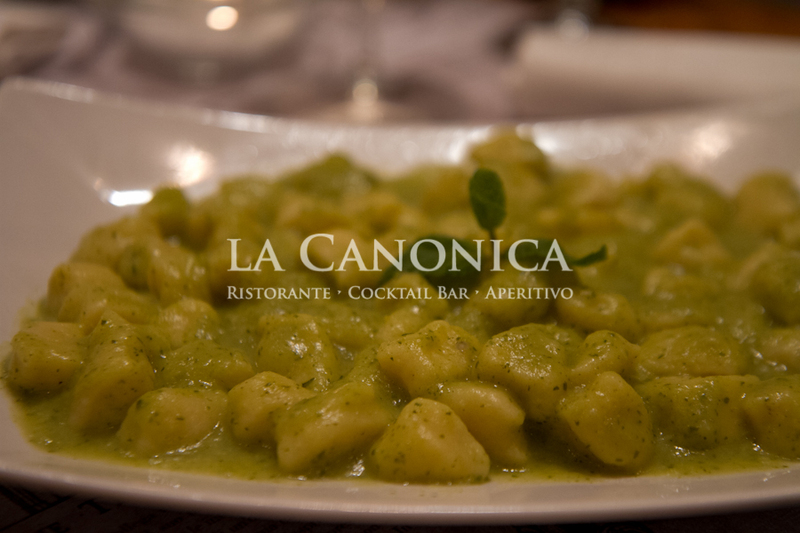 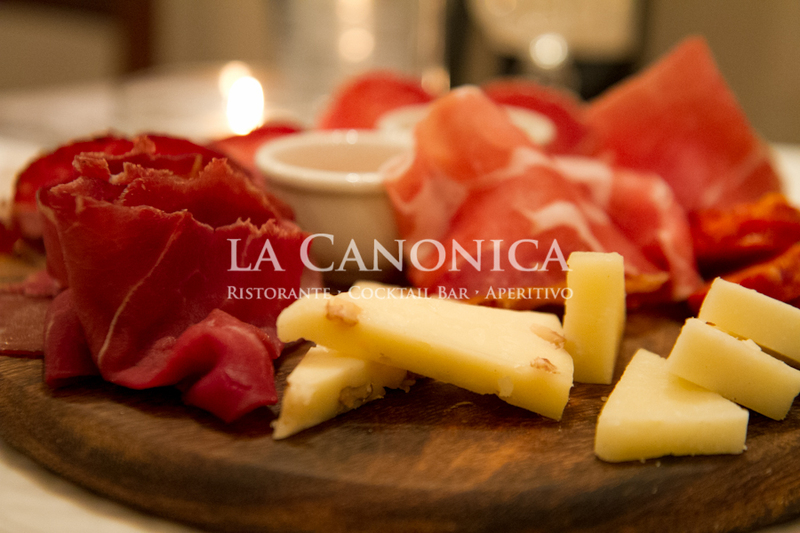 At La Canonica Restaurant you will find familiarity and informality. 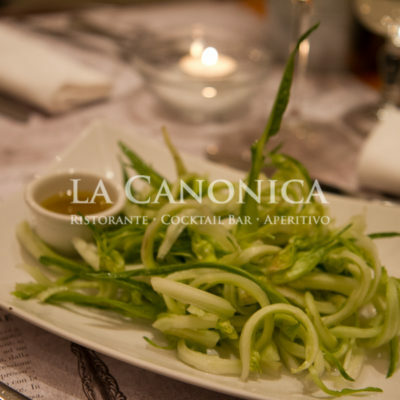 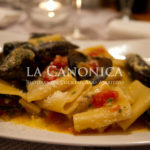 La Canonica Restaurant offers local recipes and Mediterranean products. 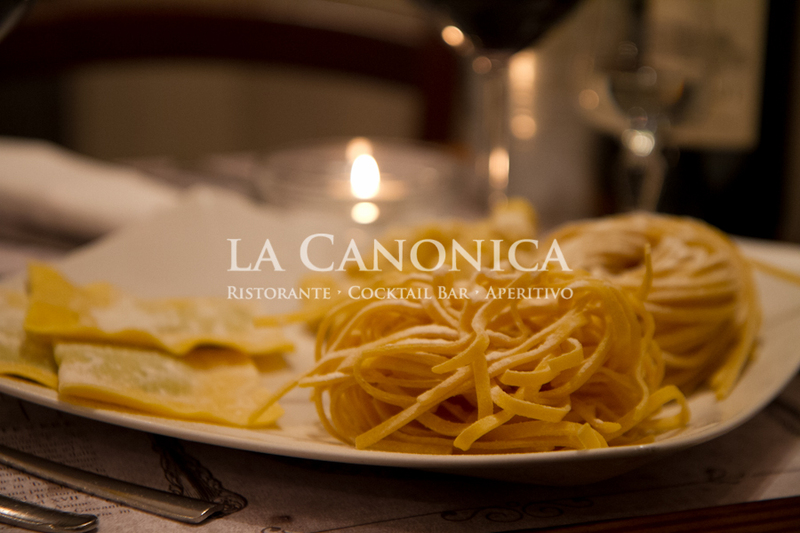 Our team cares every plate with passion and professionality. 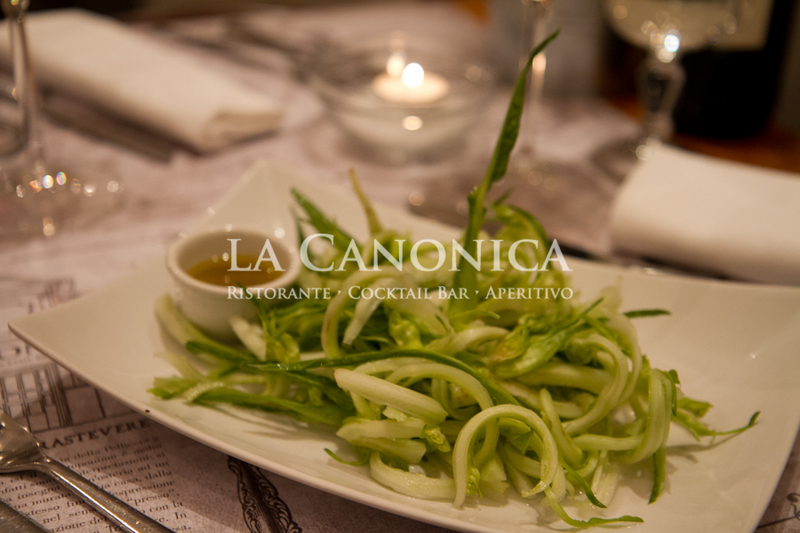 You will also find dishes for vegetarians and coeliacs.